Organisations of all sizes, across all sectors throughout the world are redefining their IT priorities to compete effectively in this digital age. Goals of enhanced customer experience, operational efficiency, business agility and improved risk management have been identified as four key pillars for digital transformation strategies. But digital transformation progress plays out differently depending on a company’s maturity, the vertical sector in which it operates, its employees, its infrastructure, and its ability to innovate. Knowing where to start, and how to maintain momentum is critical. 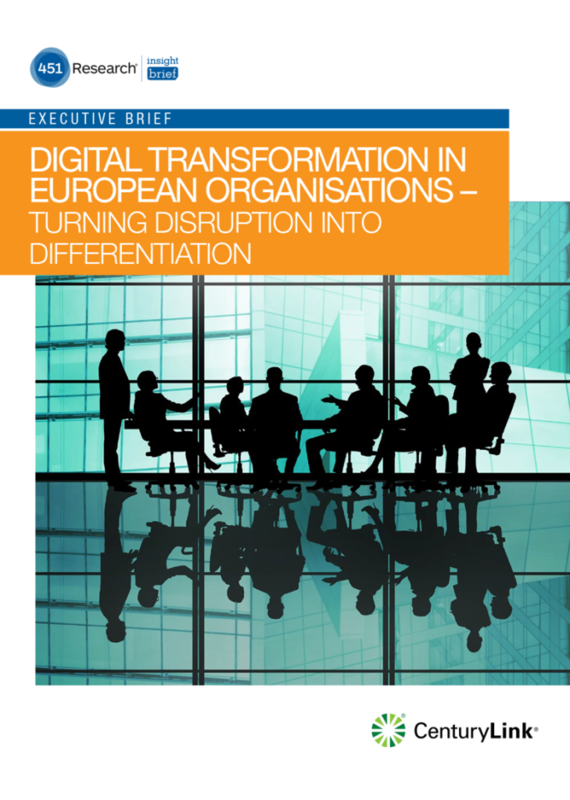 With insights distilled from the 451 Research webinar: ‘Digital Transformation: How Europe will turn disruption into differentiation’, drawing perspectives of over 400 European IT and line of business executives, this Executive Brief provides busy professionals with an easy-to-digest read in less than 10 minutes.